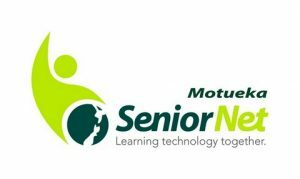 You can join SeniorNet Motueka in several ways. Membership fees are $25, or $50 a couple, per year (reduced to half price if joining in July, August or September). Payments are due each year on 1st October. To renew your membership or to join, you can pay online. Just pay into our bank account: SeniorNet Motueka Inc. 03-1354-0179057-016, at the Nelson Building Society. Remember to include your name (and membership number if renewing). You can also pay direct to SeniorNet by cash or cheque. Send to SeniorNet Motueka. P O Box 297 Motueka. Or deposit to our account at the Nelson Building Society, High Street, Motueka. An information pack will be sent to you describing our club and its activities. On receipt of joining fees, you will be given a membership number and badge, information on the courses available to members, and the latest newsletter. Classes and meetings are held at the SeniorNet Learning Centre, 42 Pah Street Motueka. Attend courses on a range of computing subjects such as Email, Internet, Photo Editing, Spreadsheets, Social Media, Online Shopping, Managing Your Computer, Using the Cloud, Smart TVs, Genealogy, etc. iPad and Mac courses also available. See courses for details. Attend monthly meetings to keep in touch with other members, hear interesting speakers and help plan club events. Attend Members Open Days where you can discuss new technology or join a workshop. Attend monthly Help and Support sessions for coffee and questions, sort out problems and ask for help. Enjoy club discounts at certain shops (Noel Leeming, Affordable Computers, Super Liquor); see SeniorNet Federation for more special offers. Join an Interest Group such as Digital Photography, Genealogy, iPad, Mac or Android Tablets. Everyone at SeniorNet is a volunteer, including the tutors, who give their time and knowledge freely. We all learn from each other and have fun doing it. We welcome everyone whatever their level of computing knowledge.